I sometimes suspect we think God might be a little schizophrenic. We would never say it out loud, of course, but I reckon many of us have wondered if God has different personalities. We talk about the God who gets Angry, and find it hard to reconcile this God with the God who Loves unconditionally. We think about the God of Judgement and Justice, but can’t overlay this God in our minds with the God of Compassion and Forgiveness. We are a little bit flummoxed by a God who says we are saved without our activity, but who then seems to say our activity is needed. These things seem like poles apart. This isn’t a new problem, of course. Back in the day (I’m talking WAY back in the second century A.D.), there was a bloke called Marcion who was absolutely convinced that the God revealed in the New Testament could not be the same as the God shown in the Old Testament. So, he decided to do some pruning of scripture, pruning it right back to Luke’s Gospel and ten of Paul’s letters! That’s one approach. Probably a better one is to say that God, in fact, is not conflicted, but that all aspects of his character work together in perfect harmony. And when you think about it, forgiveness only makes sense in the context of judgement, and anger often flows because we love someone (as opposed to say, apathy). These seemingly opposing traits actually cooperate to give meaning to each other. 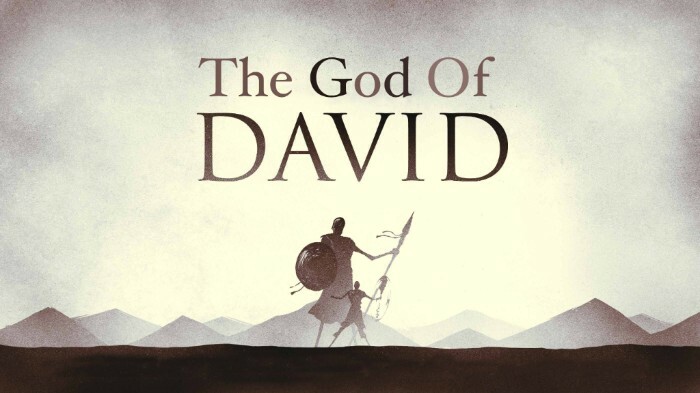 This Sunday we will be observing the mysterious dance of God’s mercy and judgement as it played out in David’s life in 2 Samuel 24. Come along! Promise Keepers is an annual Christian Men's Conference held on Saturday 1 September. 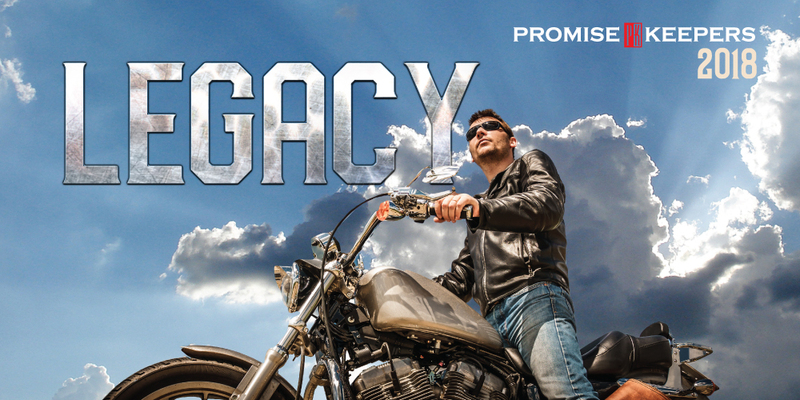 This year theme is LEGACY Our legacy is built on how we treat the people we meet along the way. 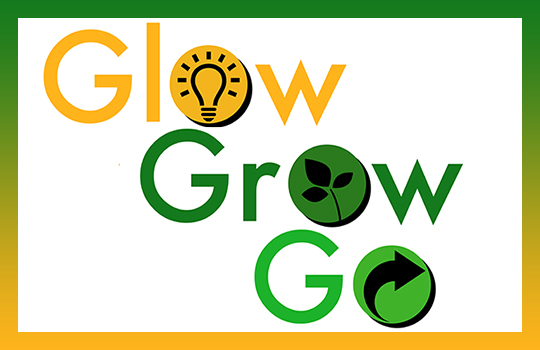 For more information about the event, please click here. 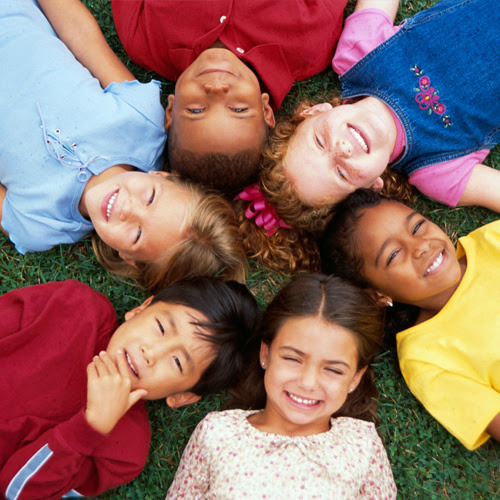 Spark is our program for preschool kids, led by Margaret Stewart. Blaze is for kids in years 0-4, led by Kelly Jenkins. Ignite is for young people in years 6-10, led by Olwyn Dickson. 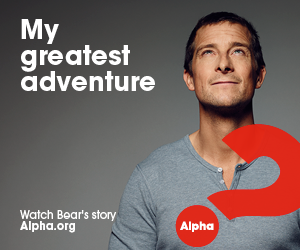 Alpha is a video and discussion-based group for those wishing to explore the basics of the Christian faith. Do you have anyone you could ask to attend? There will be brochures available this Sunday to give out to friends. Friday 7 September from 9.30am - 1.00pm. This one is aimed at those that can't commit to 3 individual (evening) sessions and perhaps have flexible working and/or kids at school or kindy. 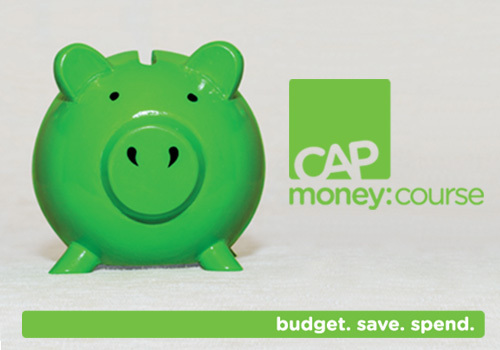 The free online tool comes with registration and will give you a chance to gain an overview of your finances, at a glance. So, how about getting on top of things and pick up some hints n tips along the way...and some good coffee besides!😊 You can register online here, look for the current RBC course, or contact the church office. Saturday 1 September from 8am. Our speaker will Peter Browning from The Baptist Association. Peter will be speaking on what the Baptist association does and about the wider body of Christ etc. Peter has a real passion for what this means. Share a cooked breakfast, coordinated by chef supremo Lindsay M. We'd love to see you there. Please consider inviting a friend. mainly music for young children is every Tuesday morning from 10am in the church. Newcomers are welcome! Come along to join us for dinner before we witness the myriad of wild and wonderful talents RBC has! We’d love you to join in, so don’t be shy! Consider what talent you can bring to the table whether it is to sing, dance, play an instrument, read a poem, tell some jokes or even show us a cool party trick. 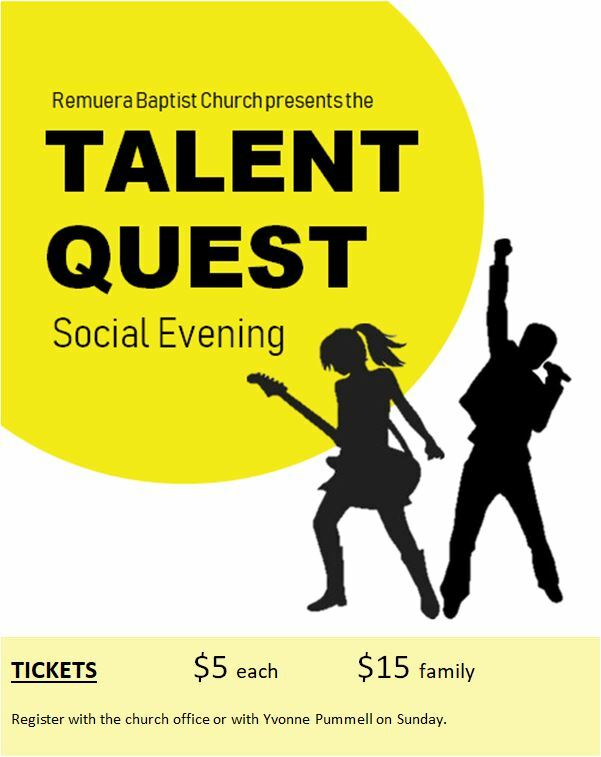 Register your talents or interest with the church office and don’t forget to invite your friends and family to this fun event! The face of NZ has rapidly changed. There is an increasing need for greater cultural awareness. This applies in the church community as well as daily life. 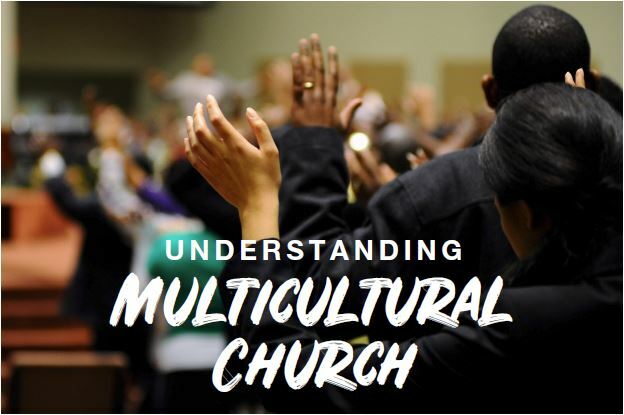 This workshop will equip you with greater understanding of the cultural complexities we face today. Click here for more information. 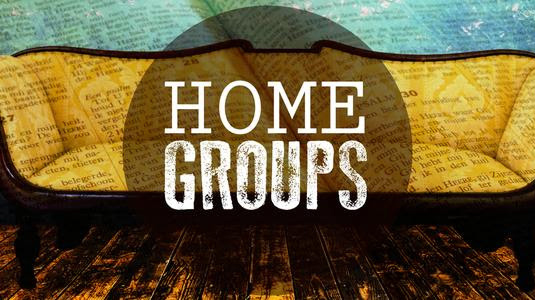 Home Group at the home of Paul and Ruth Ungemuth every second and fourth Wednesday at 7:30pm. Contact the office for more information. Home Group at the home of Joy Galt on the third Wednesday of the month at 10am. Contact the office for more information. Home Group run by David and Heather Reid every second Sunday after the service at the Reid's home. Contact the office for more information. Every Wednesday evening at 7:30pm. Please email the church to be added to the Facebook page, and check Facebook for updates. 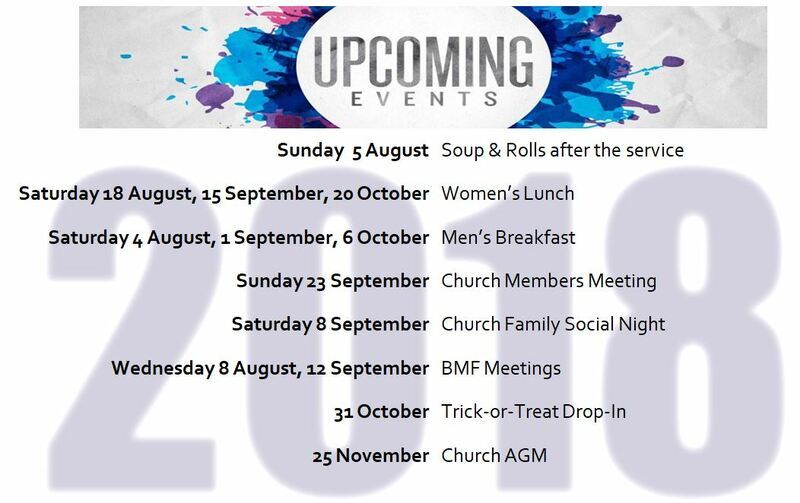 Don't forget to keep your diaries updated with what's going on in the church!